MAY 12 : Brittney Griner #42 of the Phoenix Mercury dunks the ball against the Seattle Storm during a pre-season game on May 12, 2018 at Talking Stick Resort Arena in Phoenix, Arizona. 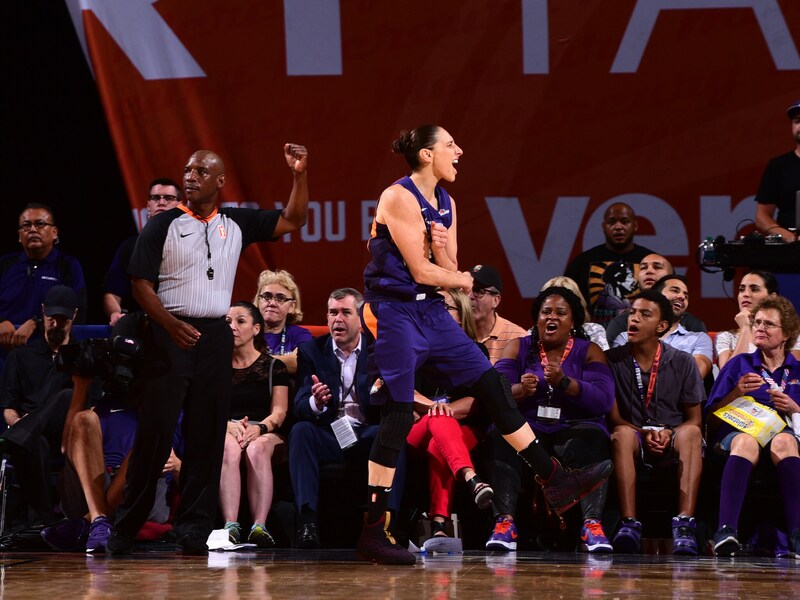 JULY 5: Diana Taurasi #3 of the Phoenix Mercury celebrates during the game against the Connecticut Sun on July 5, 2018 at Talking Stick Resort Arena in Phoenix, Arizona. 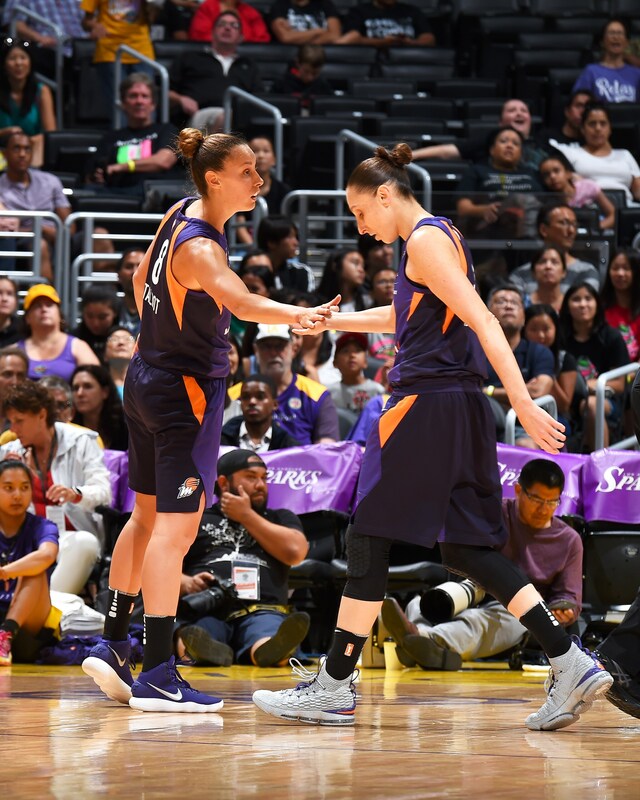 JULY 5: Diana Taurasi #3 of the Phoenix Mercury celebrates on the court with teammates during the game against the Connecticut Sun. 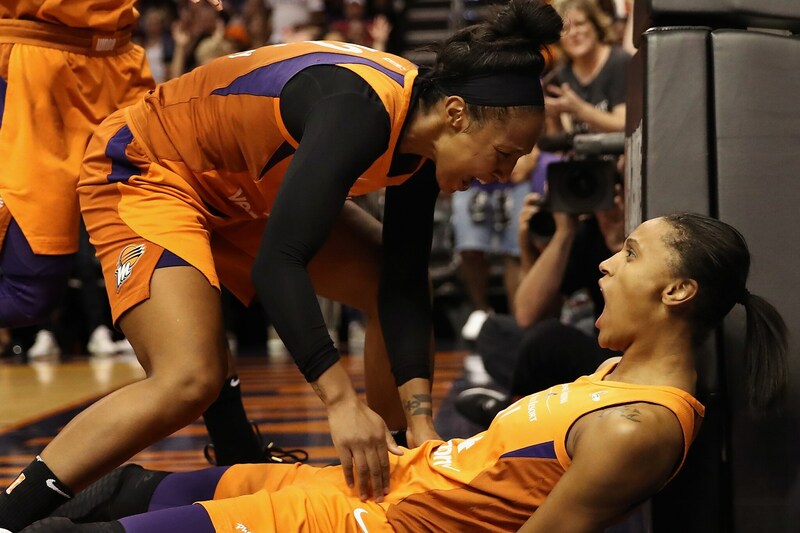 AUGUST 31: DeWanna Bonner #24 (R) of the Phoenix Mercury celebrates with Briann January #12 after scoring against the Seattle Storm during game three of the WNBA Western Conference Finals at Talking Stick Resort Arena on August 31, 2018 in Phoenix, Arizona. The Mercury defeated the Storm 86-66. AUGUST 17: Guard Diana Taurasi #3 and center Brittney Griner #42 of the Phoenix Mercury celebrate after the game against the Atlanta Dream. SEPTEMBER 2: Briann January #12 of the Phoenix Mercury leads a huddle during the game against the Seattle Storm during Game Four of the 2018 WNBA Semifinals. AUGUST 5: Stephanie Talbot #8 high fives Diana Taurasi #3 of the Phoenix Mercury during the game against the Los Angeles Sparks on August 5, 2018 at The Staples Center in Los Angeles, California. 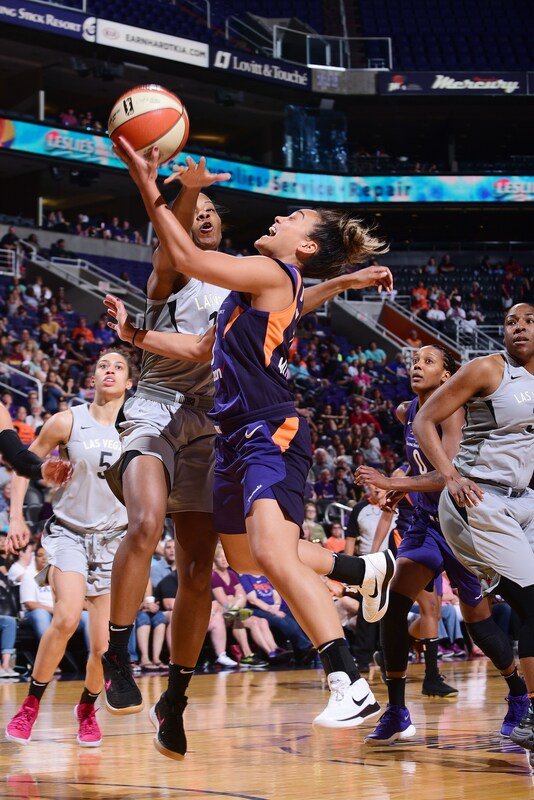 JUNE 10: Leilani Mitchell #5 of the Phoenix Mercury goes to the basket against the Las Vegas Aces on June 10, 2018 at Talking Stick Resort Arena in Phoenix, Arizona. 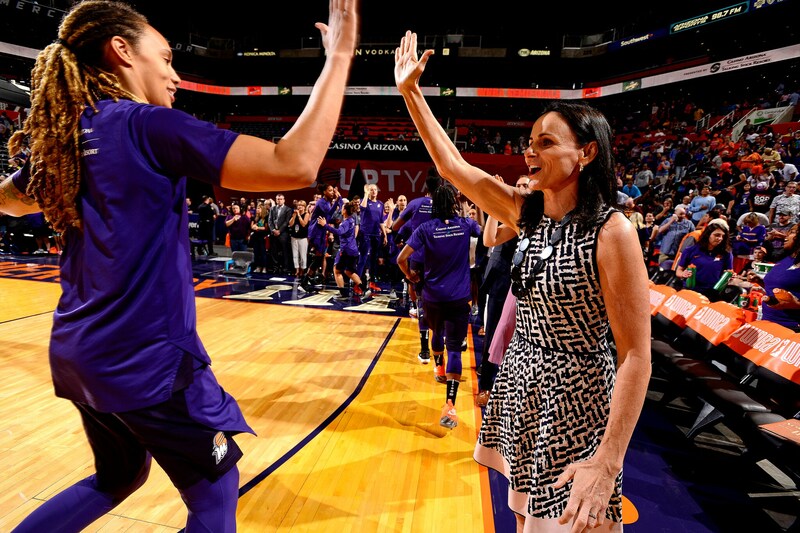 SEPTEMBER 2: Brittney Griner #42 of the Phoenix Mercury high-fives Head Coach Sandy Brondello of the Phoenix Mecury during Game Four of the 2018 WNBA Semifinals.